Open daily from 10 a.m. to 9 p.m.
(SPOT.ph) For a restaurant whose namesake is a boxer, this one seemed a tinge too stylish, from the vintage-looking light fixtures to the brightly printed tiles that channel sunny afternoons in a Tuscan farmhouse. 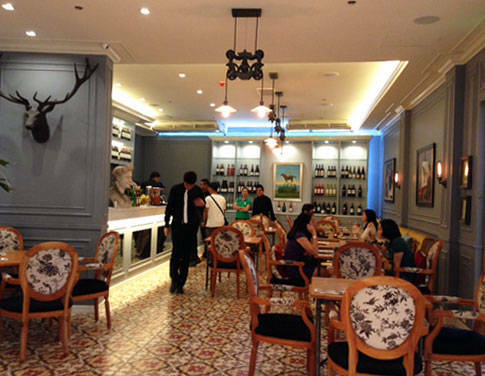 We were left wondering if Balboa in Shangri-La Plaza's East Wing really was named for Sylvester Stallone's Rocky, until: "Yes, [the restaurant] was named after the boxer," confirmed the manager, Rommel Baluyot, with a smile. 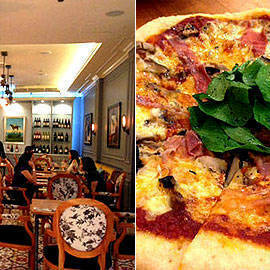 Makes sense, we suppose, for an Italian-American restaurant that we then discovered was the latest venture by the group behind Sumo Sam (Marvin Agustin, Ricky Laudico, Raymund Magdaluyo). We had Buffalo Mozzarella (P258) for starters, a choice we can recommend to those who aren’t afraid of indulging. 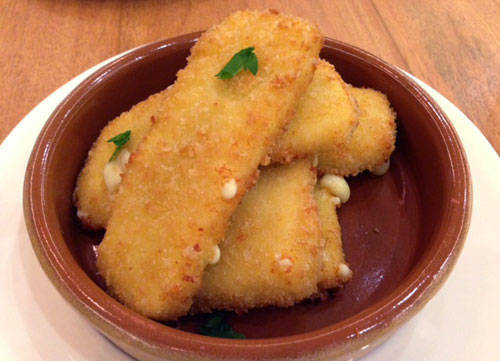 You’ll have five fried mozzarella slabs made from carabao’s milk served like dim sum, complete with a warm marinara dip. It gets a little confusing if you’re expecting traditional Italian cuisine but one bite of this appetizer will convince you to stay. The slabs are thin enough not to be overwhelming, not an easy feat when dealing with dairy. Crunch outer layer plus gooey cheese inside. 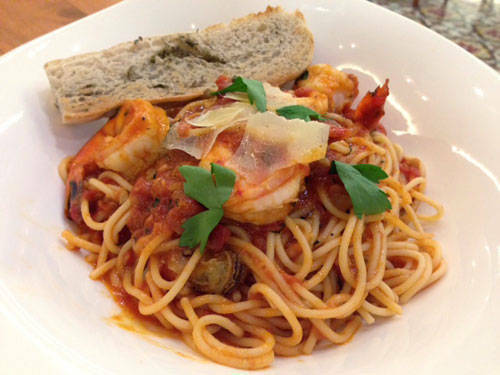 We tried the Italian part of the this Italian-American venture through their Bucatini Marinara with shrimp and squid (P358). The bucatini is light and easy, boiled to tenderness. The marinara sauce sticks to the strands with ease, allowing you to appreciate the flavor effortlessly. 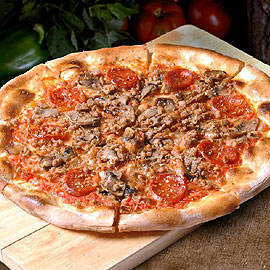 What could be more Italian-American than pizza? 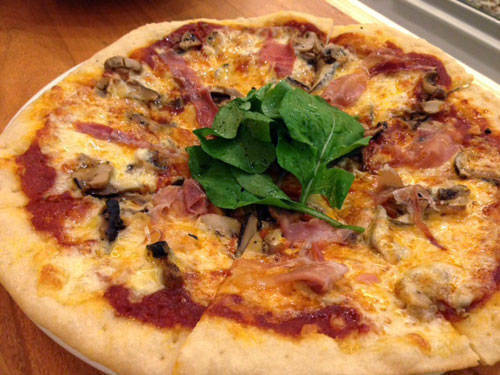 We tried Balboa’s take on this classic, picking Prosciutto, Mushroom, and Arugula (P389). 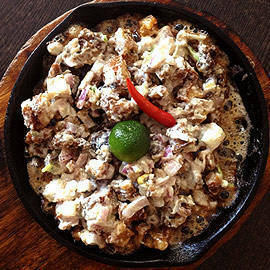 The crust isn’t crispy thin but it sure is crunchy and hefty enough to carry the weight of the sauce and the toppings. It’s best eaten with your hands, you can even enjoy the scent of the fresh arugula.